Note. All of the below-mentioned are written based on my real exam registration process. 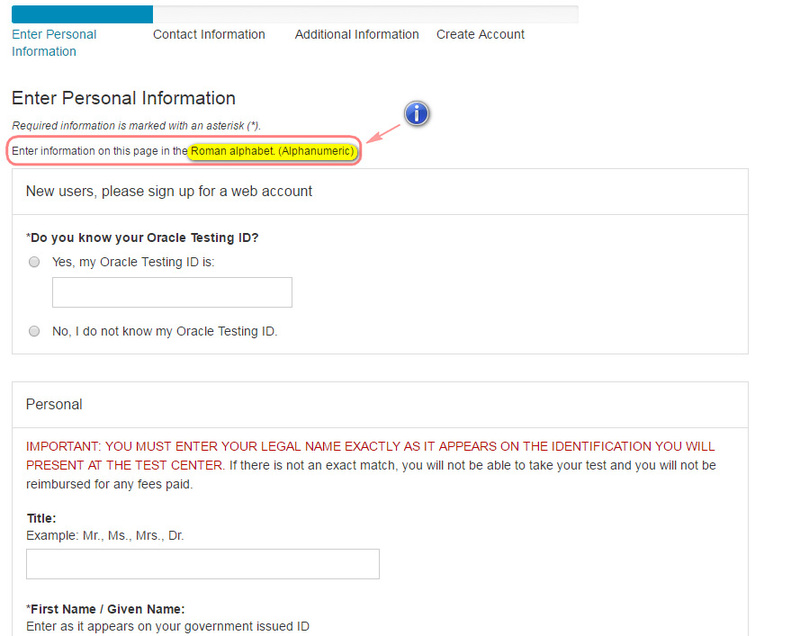 When you click on the “Create account” button, the registration form opens and then you are asked to enter your “Oracle Testing ID”. If you are taking an exam for the first time, then choose option 2. 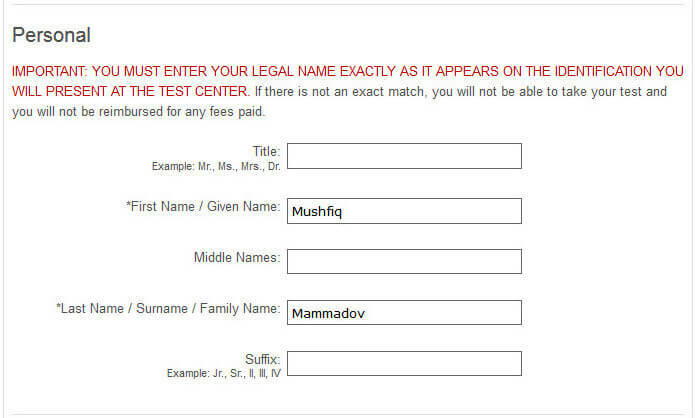 You must write your name and surname as appears on your ID card (use English letters). When you arrive at the exam center on the exam day, your name and surname that you specify when registering will be checked with your ID card. 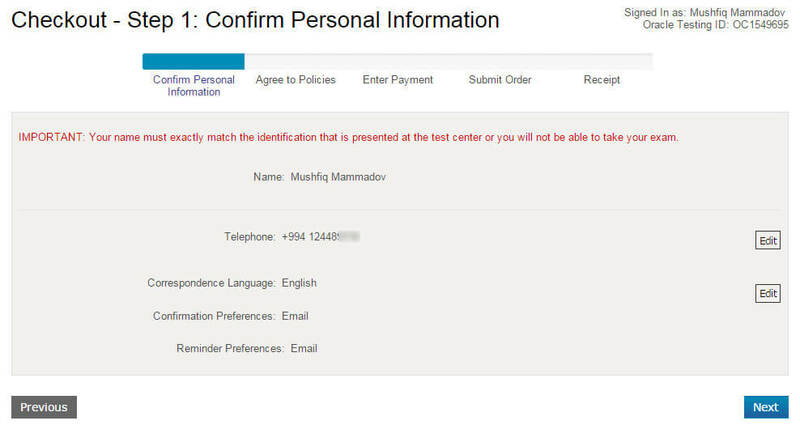 In order to avoid any problems, it is recommended that you correctly write your name and surname in English. Additionally, the name and surname that you provide here will be written on the certificate. 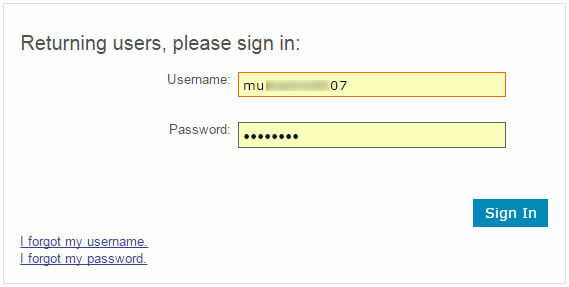 Following this, enter your active email address and press “next” (make sure that you write it correctly). 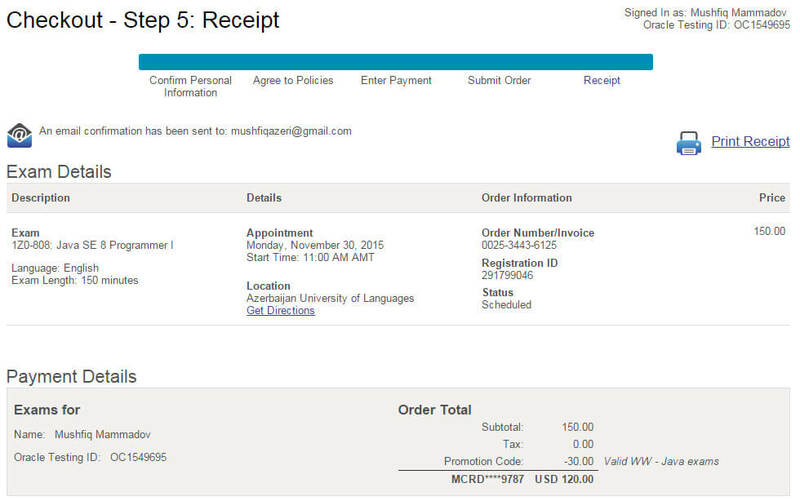 In this window, the name, the price and the language of the selected exam are displayed. 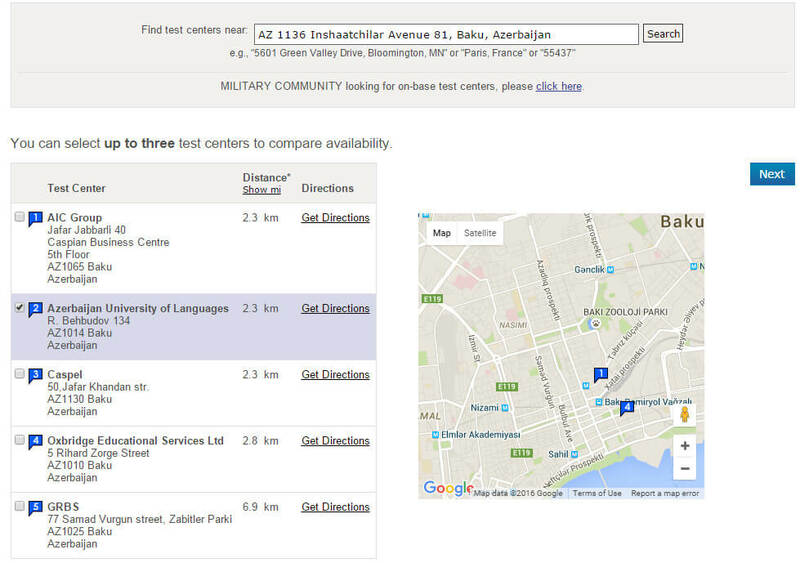 Now we can choose the time and the location of the exam. 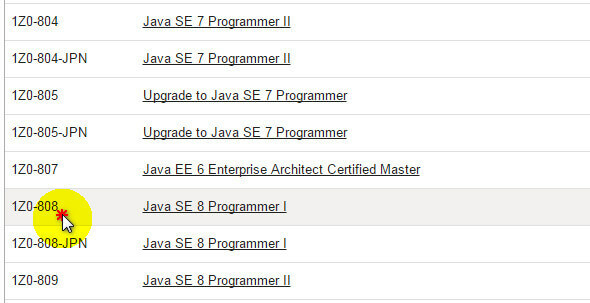 For this, press to “Schedule this Exam” button. “Confirm Exam Selection” window appears and you are asked to confirm the selected exam. 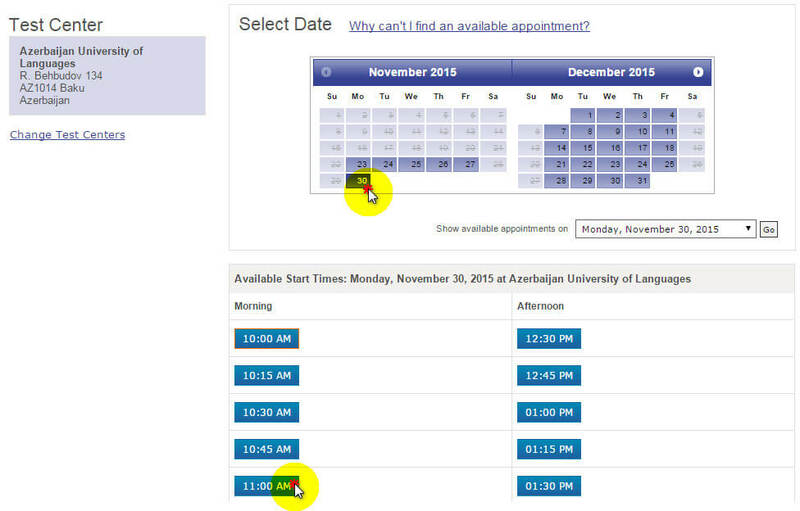 After making sure that you have chosen the correct exam, press “Proceed to Scheduling” button to continue. 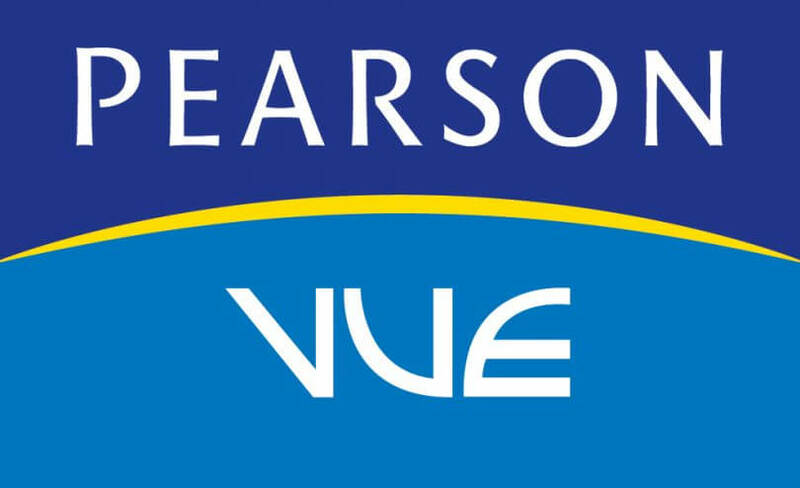 The list of these Test Centers is searched and sorted according to address information we provided in the registration process on the Pearson VUE. 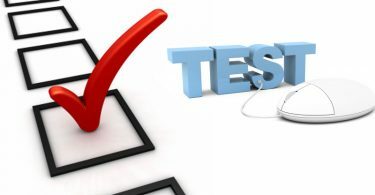 The choice of the Test Center is one of the important steps and can have an effect on the exam result considerably. 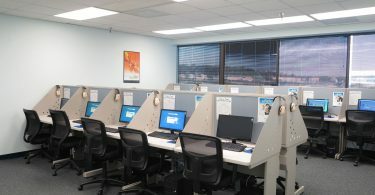 For this reason, when choosing the Test Center, it is necessary to make right choice. In Step 1, review your personal information and press “next”. 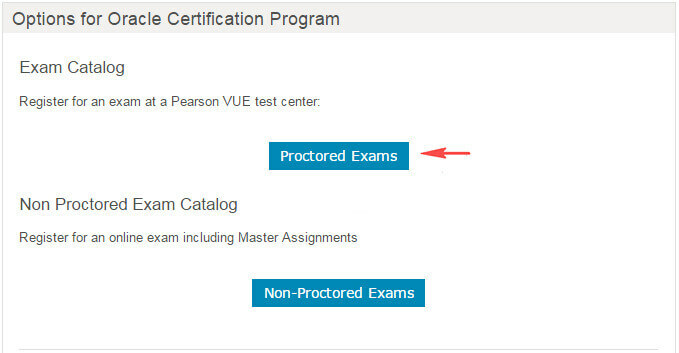 In Step 2, the examination rules are displayed and after reading them, confirm and press “next”. When your order is verified, you will receive an email about it. 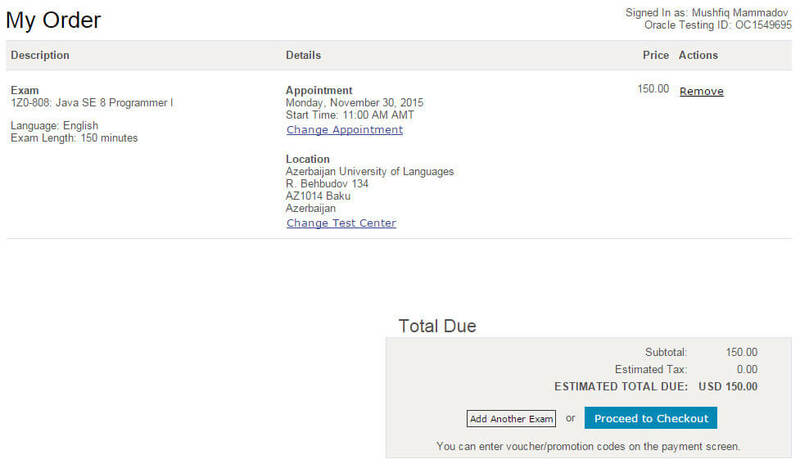 You can change the exam date by logging into your account and doing “reschedule” until 24 hours left for the exam. You do not have to pay extra money or penalty on this occasion. However, it is impossible to make any changes if less than 24 hours left for the exam, and your money will not be refunded if you do not attend the exam.